Welcome back, Sim Life fans. 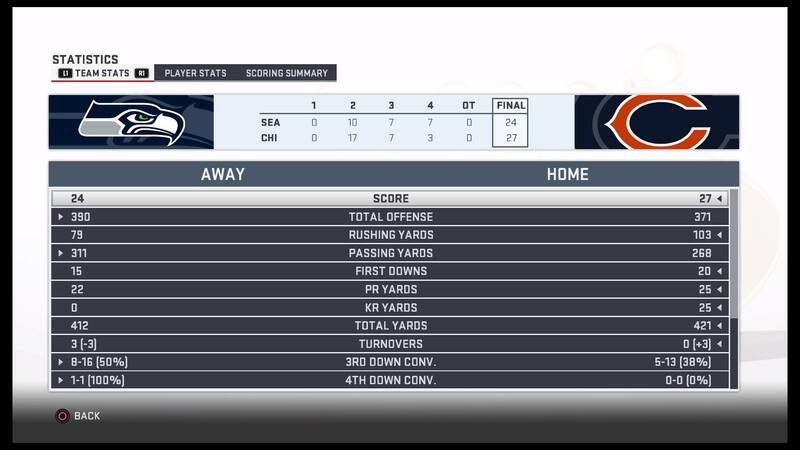 Our first venture for the NFL season sees the winless Seattle Seahawks and Chicago Bears squaring off on “Madden NFL 19” at historic Soldier Field. Salute to Hall of Famer Brian Urlacher, who’s being honored at halftime. Things look pretty 💪🏿 for Seattle’s chances. Hold up, wait a minute (Meek Mill voice) … according to ESPN’s “Matchup Predictor,” the Bears have a 57.8 percent chance to take this one. 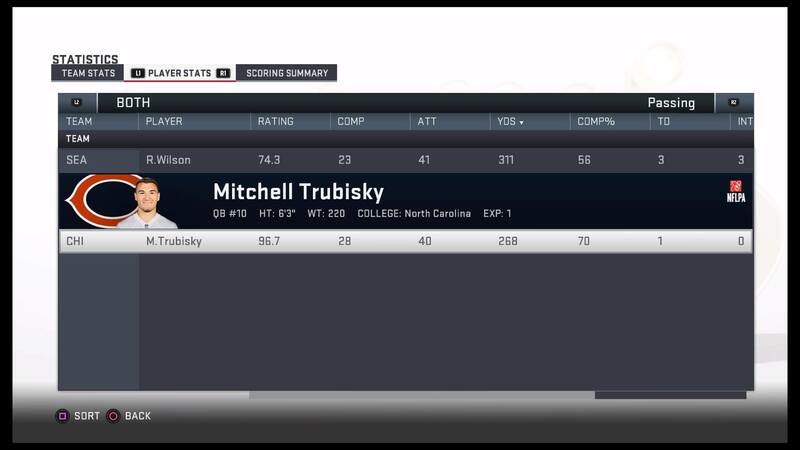 Well, according to “Madden 19,” looks like the predictor is on the money as the Bears are declared the winner of this sim. Quarterback Mitchell Trubisky looks like the hero in this one as he led a drive from his own 2-yard line with less than two minutes to play that resulted in a 19-yard game-winning field goal by Cody Parkey. Chicago gets the W, 27-24. In a matchup that seemed one-sided, Trubisky outshined Russell Wilson. Wilson did throw for three touchdowns, but also gave away three picks, two of which were courtesy of Prince Amukamara. 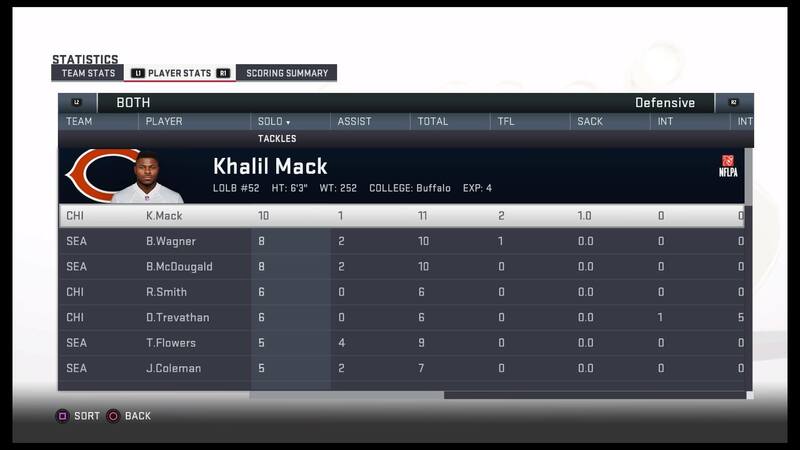 The Bears made the biggest trade in team history when they acquired Khalil Mack, and he made his presence known for the second week in a row, this time by leading all defenders with 10 tackles. You can catch the Bears hosting the Seahawks on Monday Night Football at 8:15p et on ESPN and the ESPN app.